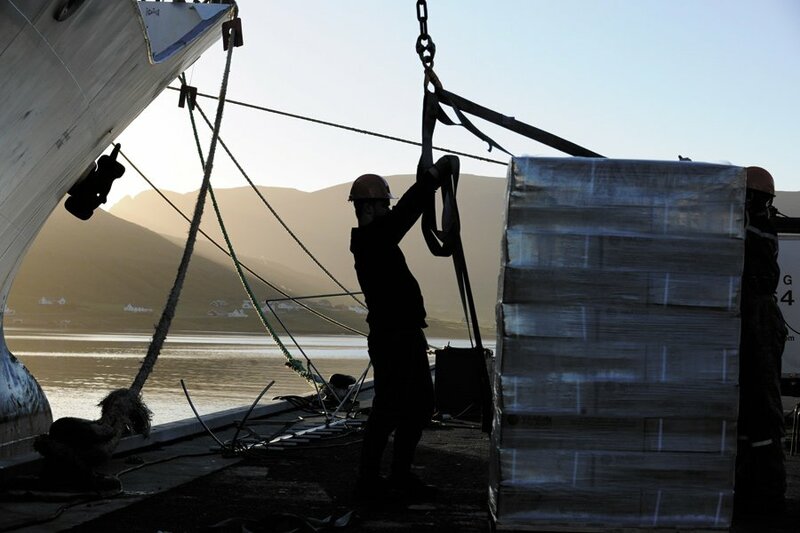 Workers loading frozen seafood unto a reefer vessel at the Port of Tvøroyri. 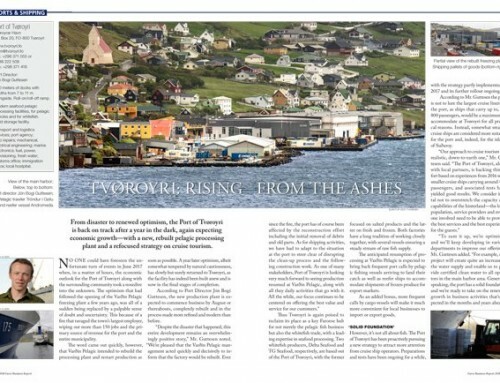 The Port of Tvøroyri was dealt a blow with a large fire that saw the Varðin Pelagic freezing plant burn to the ground early this summer. 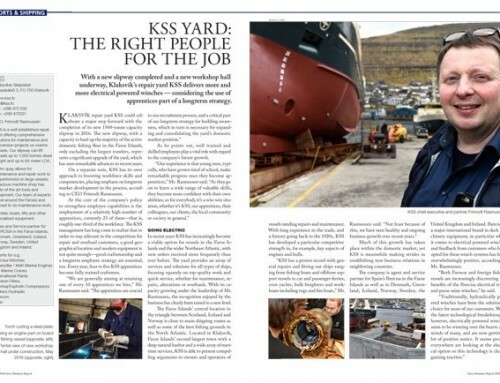 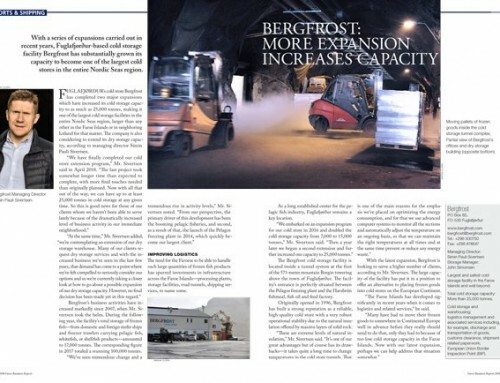 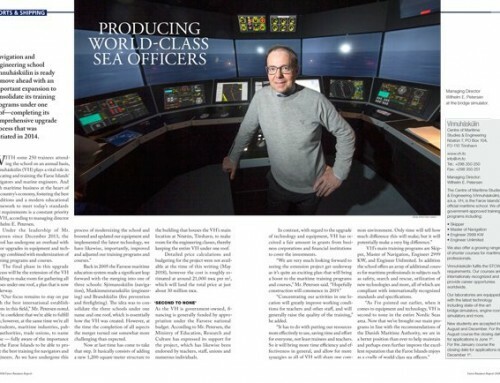 With 150 people temporarily out of work and ship traffic dramatically reduced, the consequences are being felt through the island of Suðuroy — the factory had become the symbol of Tvøroyri’s newfound optimism, an important employer and a vital generator of revenue for local businesses and authorities. 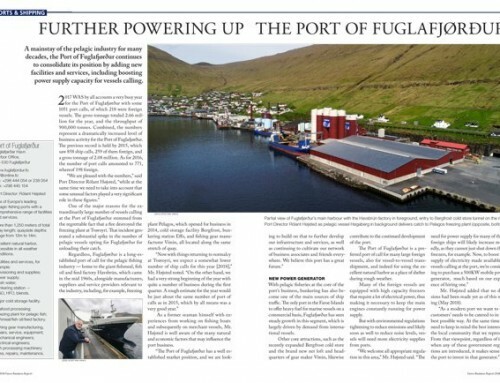 According to port director Jón Bogi Guttesen, community leaders hope the processing facility, which caught fire on 9th June, will be rebuilt and back in operation in the first quarter of 2018.